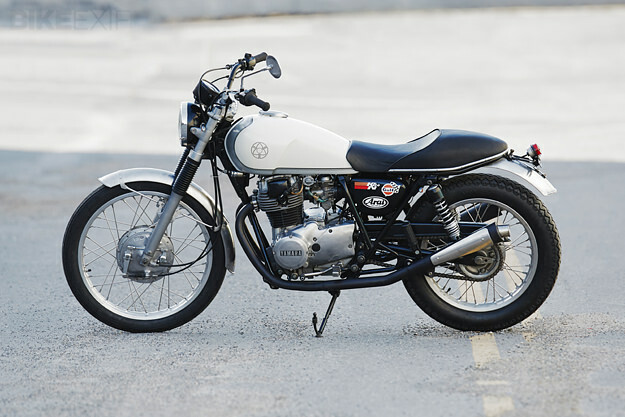 Walt Siegl’s name is synonymous with classy, high-end Ducati customs. 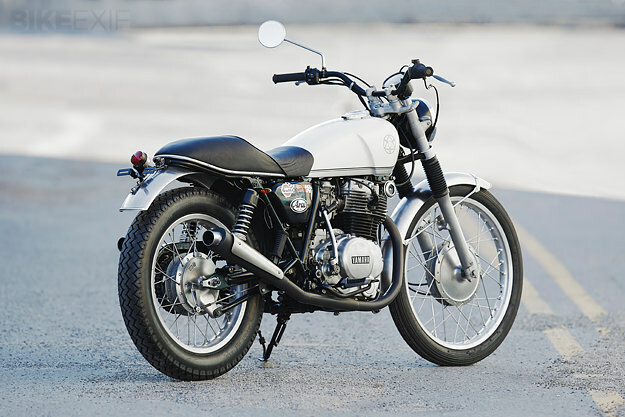 So it’s a little unusual to see a smaller displacement Japanese motorcycle roll out of his workshop—in this case a Yamaha XS400. Walt had spent enough time with his client to get a feel for her sensibilities, so when she stated that the bike shouldn’t be “precious looking,” he immediately knew that it shouldn’t be a rat bike either. 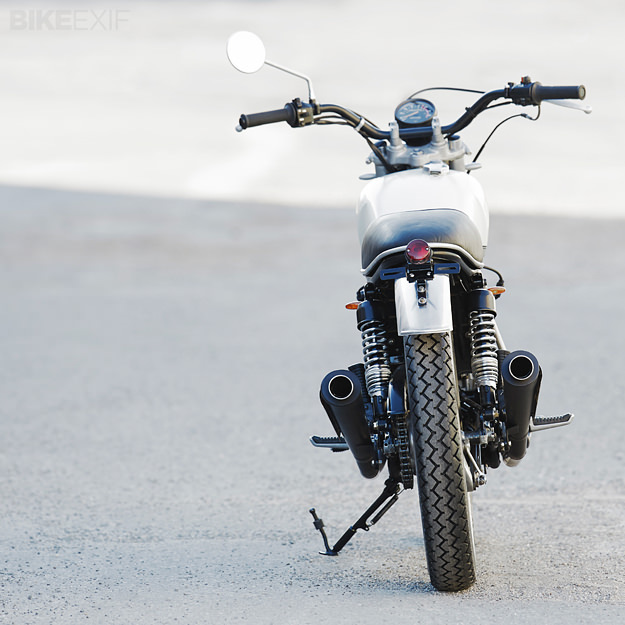 The goal was to build an “approachable” motorcycle, with just the right amount of patina. 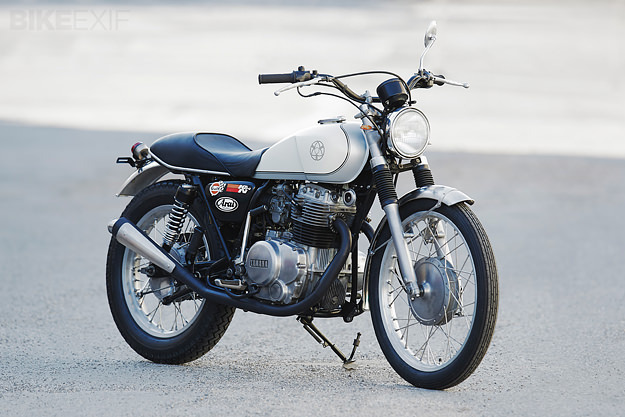 The Yamaha XS400 was chosen because of its relatively low height. First the frame was trimmed of all unnecessary tabs and a new rear loop added, before being painted gloss black. Walt then removed the gloss finish using a gritty polishing paste, before bringing it back to semi-gloss by applying a special compound to remove the swirl marks. The original tank was cut into four sections and made smaller, before knee cut-outs were added. It was then painted with a semi-gloss finish, to match the frame’s treatment. 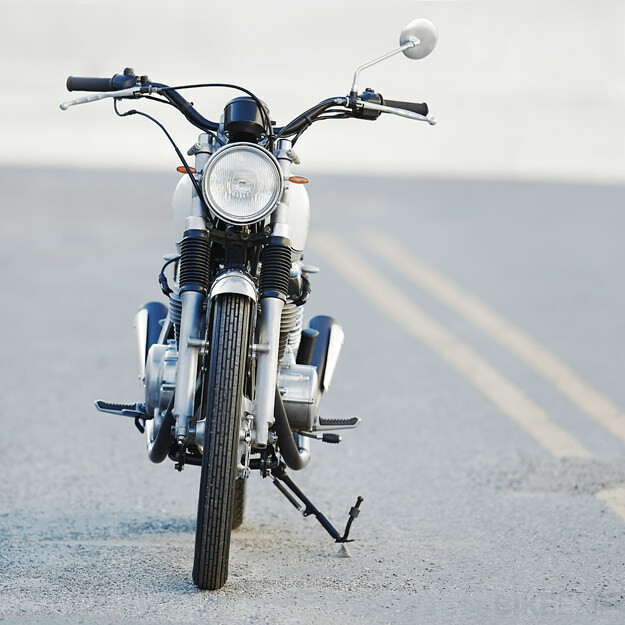 Special consideration was given to the seat—it had to be low enough for slow speed maneuvering and had to be able to accommodate a pillion. Once it had been shaped accordingly it was covered in high-grade leather. A Bultaco fender was mounted to the front with a bespoke brace, while the rear fender was taken from a Maico and cut to fit. Aftermarket shocks were fitted at the rear and surface treated, so as not to stand out too much. The stock forks were dropped slightly and re-sprung with Ceriani springs. 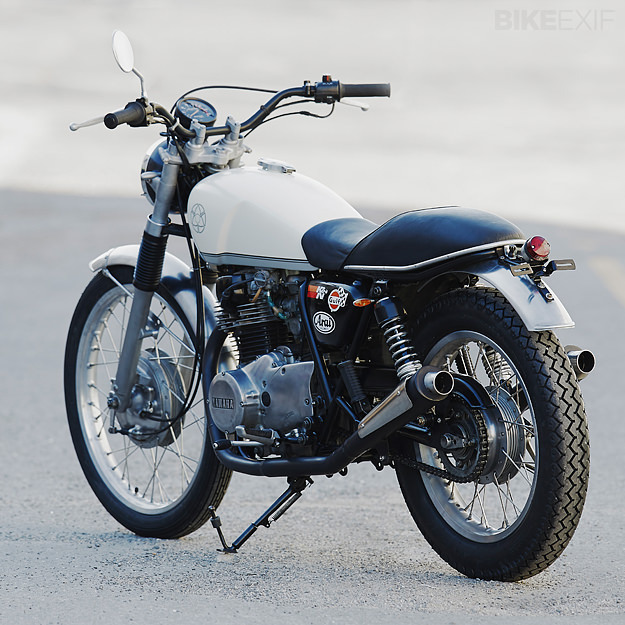 Rounding off the vintage trials-inspired touches are 18” (rear) and 21” (front) Akront rims from a Montesa—mated to the stock Yamaha XS400 hubs with Buchanan’s stainless steel spokes. Finally, all the aluminum parts on the bike were sand blasted and polished with Scotch-Brite to achieve a semi-gloss finish throughout. But Walt wasn’t quite done yet: “By the time the project was finished and sitting on the workshop floor, it looked a little too ‘together’. That’s where the decals come in. Check out Walt’s builds on his website and follow his news via the Walt Siegl Facebook page. Images by Julien Roubinet.